For every Honeywell burglar alarm there’s a keypad to suit any lifestyle, budget and décor. Choose from brilliant all-in-one security touchpads that also function as home controllers, video viewers and digital picture frames, our best-selling touchscreens, ultra-compact keypads that fit in small spaces, keypads that talk and more. Damages resulting from flood and extreme temperature changes can cause personal and financial devastation. Ideal for kitchens, bathrooms, laundry rooms, basements and more, Honeywell's flood and temperature sensors can notify you when detecting freezing and predetermined high temperatures and the presence of water—helping to protect your valuables and home while minimizing the risk of boiler breakdowns and other potential dangers. You can even opt to receive these alerts via your iPhone®, iPad®, Blackberry®, Android™ or any compatible mobile device when using Honeywell Total Connect™ Remote Services. Take your security system to the next level with a Home Automation System from ESS Security. In addition to a comprehensive security package, our home automation systems put you in control of all of your home's comfort systems and points of access. Launch your home into the 21st century with a complete home automation system from ESS Security. 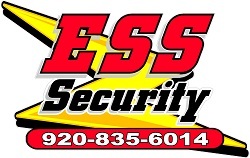 · ESS Security’s Home Automation Systems are fully functioning security systems with many advanced features. · Your home will immediately alert you of all dangers, including intrusion, fire, carbon monoxide, freezing conditions, and water pipe breaks. · Programmable variations of lighting and audio from your stereo or television can make a vacant home look and sound occupied. · In the event of a fire your air conditioner and electrical appliances are turned off to deter the spread of smoke and fire throughout your home. · Optimal interior lighting aids in your family's safe exit. · Program lights to come on when a door is opened or when a car enters your driveway. · Transform the look of your home with true architectural lighting scenes. · Light up a dark hallway when motion is sensed. · Have your lights adjust automatically by time of day. · Turn off all lights in the house at bedtime with one button ease. · A full line of communicating thermostats provides automatic control of your home's temperature based on mode (Day, Night, Away), room occupancy, or outdoor temperature. · Precision electronics maintain an even temperature for the ultimate comfort and saves on your utility bill.